I was honored to be the featured speaker at the 13th annual EMC Society Chapter of the IEEE Milwaukee Section “EMC Mini-Symposium” this last March 19th. 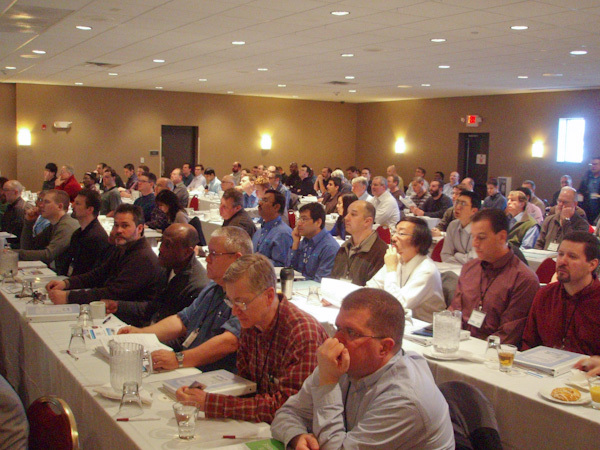 Hosted and managed by EMC engineer Jim Blaha (GE Medical), this was actually no mini-symposium – but is the largest regional gathering of EMC engineers in the country. There were a record 180 engineers from around the area, as well as a record 42 vendors showing their wares. The event sold out within just a few weeks. The title of my talk was a mouthful: “EMC Essentials and Pre-Compliance Testing with your own Affordable EMC Troubleshooting Tools Kit”. While I covered some of the major EMC theory for issues I generally end up addressing at various client companies, most of the day was spent on how to collect a set of useful tools, probes and measuring instruments to make up a portable EMC troubleshooting kit. I then went on to explain how I use these tools to perform pre-compliance and evaluation testing of prototype products. 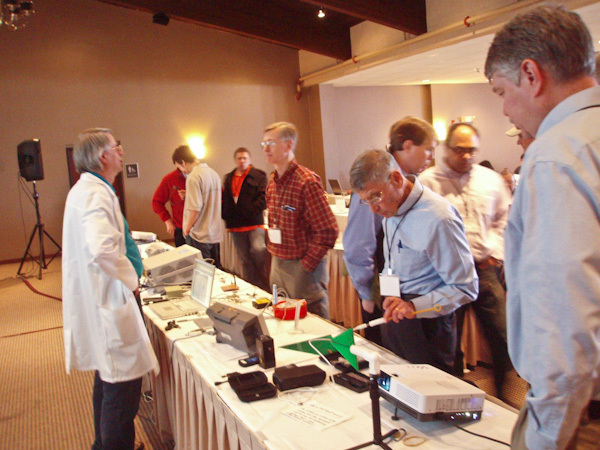 I’d like to thank Jim Blaha for his superb organization and management of the event, all the vendors, who helped sponsor the event and Agilent Technologies for supplying the oscilloscope and spectrum analyzer for the demonstrations. Here are a few pictures taken by my colleague and fellow EMC consultant, Jerry Meyerhoff. Thanks Jerry! Jim Blaha from GE Medical manages the symposium and is providing introductory comments. Chatting during one of the breaks. A portion of the 180 attendees. Here I am explaining why pigtail shield connections cause common-mode currents resulting in radiated emissions. 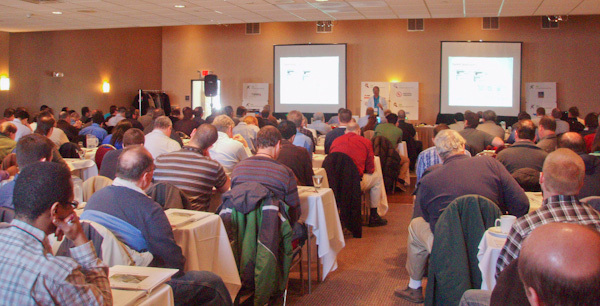 This entry was posted in General, Seminars, Troubleshooting and tagged EMC Symposium. Bookmark the permalink.